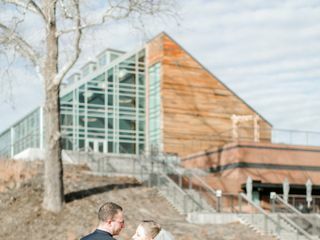 The river view event venue is truly a rare find in the northern, va area. 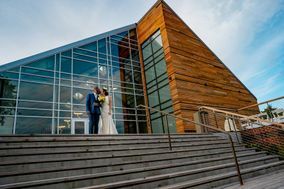 It’s a modern venue overlooking the Occoquan River and for an event venue that can hold around 300 people, the price is completely reasonable and one of the cheaper nice venues in the area! The staff at the River View is really what makes the venue exceptional. Cori and kaila are so accommodating and very responsive! Whatever you want, just ask! They are not a venue that with Nicole and dime you for everything which is truly appreciated! You are required to go with their caterer, great blue heron catering, but I PROMISE you that you will not find better food out there. Everyone raved about how good our food was! Book at the River View! You’ll love it! I love the team at The River View! Cori is a delight, and even day of always available to answer questions and help make your dream a reality. You truly get there and are able just focus on the day and leave everything else to them. They even have you go over a rainy day plan 2 months in advance! I never once worried I wouldn't be taken care of. I strongly recommend people consider using this venue for whatever event they're planning. We can't say enough about how much we loved the River View. From our very first tour (while it was still under construction) to communication after the event, Cori and Kaila were incredibly competent and easy to work with. We were easily able to coordinate in person, through emails, and through phone calls. No matter what the detail was (like scheduling walk through with four different people's schedules in mind, coordinating with our event designers, providing platters to our baker, sending me photos of what pre-plated salads would look like because I couldn't decide, working on lighting the day of, answering endless questions, etc.) Cori and Kaila were professional and always knew what to do. We were so grateful for their help in coordinating with catering too because then the whole even went seamlessly. They made us feel special, excited, and relaxed through out the whole process and that is truly a blessing while wedding planning. If you are thinking about having your wedding here, do it! You will not regret it! The River View location, staff, food and amenities are amazing. We had six months to plan our wedding reception and with Cori and team’s help, pulled off the most memorable event. Accommodating, friendly, genuine and ready to help make your event as perfect as it can be. Extensive communication from The River View on all aspects of rental. I could ask anything and get an answer right away, almost always a Yes! Delicious food from onsite catering - Great Blue Heron, customized to our needs/preferences. A variety of options to choose from and French fries as a late-night snack was a hit! Fire pits, 1608 room (used for cocktail hour), onsite Bridal and Groom suites were all useful and beautiful inclusions in rental. Perfect! beautiful location & amazing service and food! 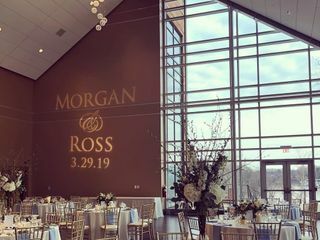 This venue was absolutely... AMAZING! It's such a beautiful venue, inside and out! 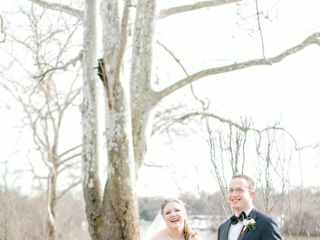 I just had my wedding on 10/19 and it was just so beautiful! This venue has a large bridal room and the groom can hangout at a little modern "club house" outside. Complete privacy and the venue is so spacious, with very modern designs. The service of EVERYONE prior to the big day, on the day of the wedding was great too! From the first time we went to do a tour, to the walk through, setting up tables on the day of, wait staff, bartender... everyone was extremely nice, caring and very professional. No one complained about any service and the interactions all feel very genuine! The caterer they partner with was also very VERY impressive! We did buffet style and all the food was very well prepared. Our guests could not stop talking about the salmon and the beef!! (Highly recommend it!!) Nothing was dry, over/under cooked. Our guests came happy, left happy and well fed! 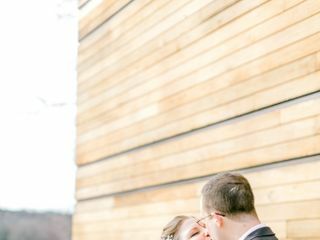 We couldn't have asked for a more perfect location and service for our special day! HIGHLY RECOMMEND! 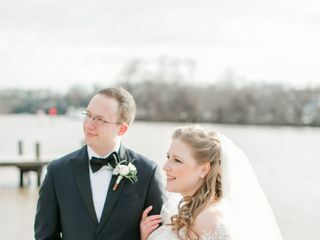 We had a wonderful experience planning and hosting our wedding at the River View! It is a gorgeous and spacious venue! I loved that the venue is located within Occaquan Regional Park as I played many a soccer game on the fields there. Traveling to The River View was also easy for our guests and the venue has all the parking you could need to host your event. Despite the pouring rain on our wedding day, we had a lovely reception! 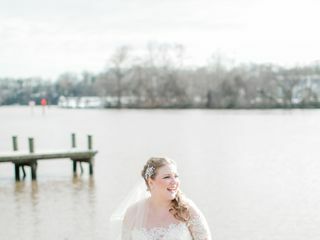 The view overlooking the water is spectacular and the venue offers plenty of places to capture your wedding photos (we will be returning for a photo shoot as we were unable to get outside due to the relentless rain). Cori and Carson were always available and made planning our event fun! Their professionalism is top notch and they were able to offer their knowledgable assistance in making our wedding one we will look back on fondly for all our years to come. Cori and Carson are a dream team. They were super responsive and fun to collaborative with. They never made us feel that we were in the planning choas alone. We couldn't be happier with our venue selection. This is a beautiful venue. The planners and staff were very helpful, flexible and easy to work with. The River View is close to perfect. For my wedding, we had 115 guests in the cocktail hour and reception spaces and neither felt cramped at any point. 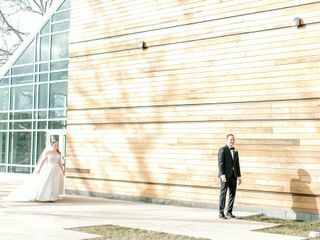 The venue coordinators are so friendly, professional, and organized - I truly felt they cared about my wedding and wanted to make sure it went off perfectly (which it did!) During the evening reception, guests could see the sunset changing with each hour through the glass walls and it really livened the atmosphere. Bridal suite is also spacious and well equipped - my makeup and hair artists couldn't get over how convenient it was to have so many outlet plugs and mirrors. The Scale House for the groom is unbelievable - it's stocked with a mini kitchen, TV, couches, bathroom, and closet spaces. If there are any drawbacks, it would be that it's definitely bit pricey and you are limited to using their on-site caterer, Great Blue Heron (food is not terrible, but may not be for those who want specific dishes at their event).